Tannoy Reveals have long been popular with home-studio owners on a budget. Do these latest iterations retain the qualities that made their forebears so successful? 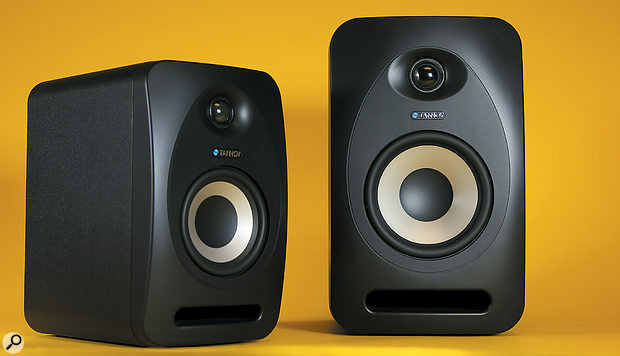 While Tannoy built their reputation on their trademarked Dual Concentric (coaxial) speakers, their smaller conventional monitors, in particular the Reveal series, have always found favour in home studios because of their combination of quality and cost. This latest incarnation of the Reveal range comprises three models, with either a four-inch, a five-inch or an eight-inch woofer. Middle of the range is the 502 five-inch model, and as the facilities on the other two models are essentially the same, I'll be concentrating on this one for the bulk of the review, although I also had a chance to check out the smaller Reveal 402 so I'll touch on that later. Outwardly the Tannoy Reveals are stylish but otherwise unremarkable, insomuch as they are straightforward front-ported, two-way active designs, the Reveal 502 sporting a one-inch soft-dome tweeter with a five-inch, multi-fibre paper cone woofer with a slightly concave centre dust cap. The two other models in the range come with four- and eight-inch woofers. The 502 cabinet measures 300 x 184 x 238 mm, has generously rounded corners and incorporates a non-slip rubber base. The slot-shaped port exit sits just below the woofer. It is finished neatly in a finely textured black vinyl foil, with the Tannoy name picked out in gloss black on the cabinet sides. For the baffle there's a shaped plastic moulding that includes an elliptical dished waveguide to control the directivity of the tweeter; Tannoy claim the tweeter is 'poke resistant', though that isn't an invitation to try! On the rear panel there's a two-pin mains inlet (no ground pin), a power switch and a mains voltage selector. Balanced and unbalanced inputs are available on XLR and jack respectively, and there are also aux connectors (input and link out), to accommodate consumer playback devices such as iPods, for which a stereo mini-jack cable is included. This section includes a slide switch so that the two speakers can be designated left and right, where the link jack feeds the other half of the signal to the second monitor. In addition to a variable level control, there are three HF level options (+1.5dB, flat or -1.5dB), but no LF options. Power comes from a 75W bi-amp module, which provides 50W for the woofer and 25W for the tweeter, and is fed from an active crossover operating at 2.3kHz. The overall frequency response is quoted as 49Hz to an impressive 4 kHz, with a maximum SPL of 108dB at one metre. The rear panel houses the inputs, bass EQ and volume control, as well as the aux and link-out sockets, which are intended for MP3 players and the like, and allow you to send one half of the stereo signal to the other monitor. With their five-inch drivers, the Reveal 502s are clearly intended for the smaller studio, and while all small ported speakers exhibit some inevitable bass smearing (a ported cabinet is, after all, a damped resonant cavity), the bass end still sounds very credible, with decent note definition. There's also a good sense of tonal depth as long as you're not expecting chest-punching bass. Even more compact, at just 240 x 147 x 212 mm, the Reveal 402 has a four-inch bass/mid driver and a 0.75-inch tweeter, which, as you might expect, means the low end doesn't reach quite so low. The response here is quoted as 56Hz to 48kHz, with a maximum SPL of 101dB. The amplifier pack provides 25W for the woofer and 25W for the tweeter, but the rear-panel facilities, the general cabinet styling and the port location are otherwise the same as for the other models in the range. Considering that the Reveal 402 is such a small speaker, it still delivers a surprisingly plausible impression of bass, though with perhaps a little more port-induced 'pluminess' than its larger siblings. However, it has the same general family sound as the 502, so the mids and highs are very similar in character. At the high end, both models exhibit good clarity and definition tempered by the expected smoothness of a soft-dome tweeter, though as with many such HF driver designs, the tonality can become a little 'reedy' when pushed too hard. That leaves the mid-range, which actually behaves very well as the small woofer and the tweeter don't have to work too hard to meet gracefully in the middle. As a result, vocals come across as sounding natural and open. The sense of stereo perspective is also good, with a wide sweet spot, which is particularly welcome if there is more than one person trying to listen to the mix at the same time. There's perhaps less front-to-back perspective than with the best speakers, but the bottom line is that both models are very affordable yet capable of delivering a balanced sound that you can work with for long periods, and their necessary design compromises won't stand in the way of you producing a good mix. The Reveal 402 is probably best suited to very small spaces or desktop use, whereas the Reveal 502 could fill either that role or work in a typical bedroom studio environment. Based on the performance of these two models, and if you have a garage-sized studio, then the larger Reveal 802 would be worth investigating. The Presonus Eris 5 is excellent value, and it's also worth looking at the smaller Fostex, KRK, ESI, Fluid and Alesis models. Excellent audio quality for their price range and physical size. As with all small ported speakers, there's a degree of low-frequency overhang resulting in bass seeming less tight-sounding than it really is, but nothing really to complain about given the cost. 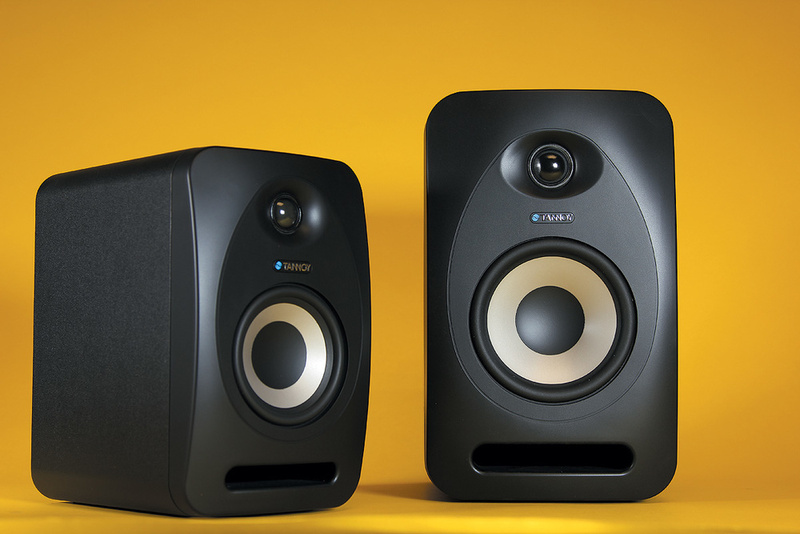 Once again Tannoy have managed to develop a range of affordable, compact monitors that deliver more in the way of quality than you might expect at the price. 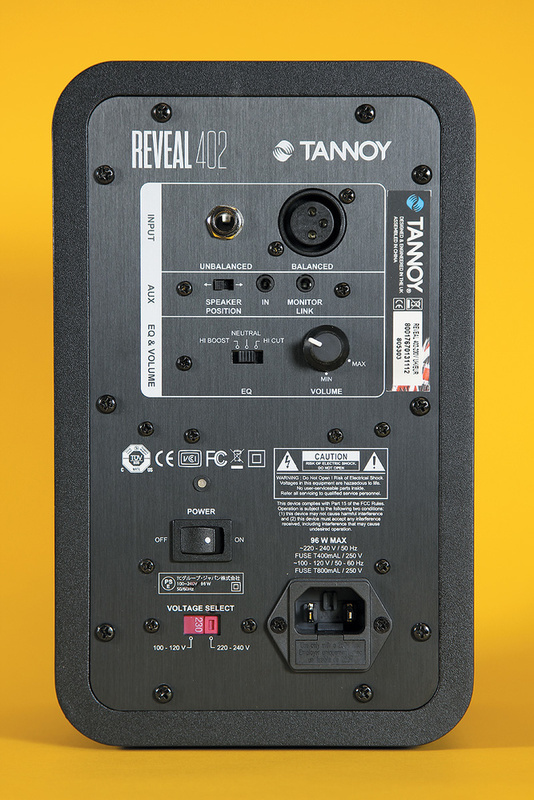 Tannoy Reveal 402 £210, 502 £250. Prices are per pair including VAT. 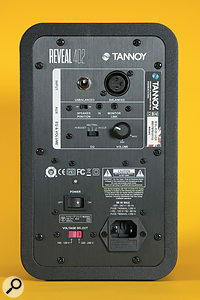 Tannoy Reveal 402 $279.98, 502 $359.98. Prices are per pair.